When looking for a European getaway, many people choose France – and for good reason. Whether you’re looking to absorb the culture, soak up the sun or even try out a snow sport, France has it all. Here are five ways that you can experience the nation and all it has to offer. 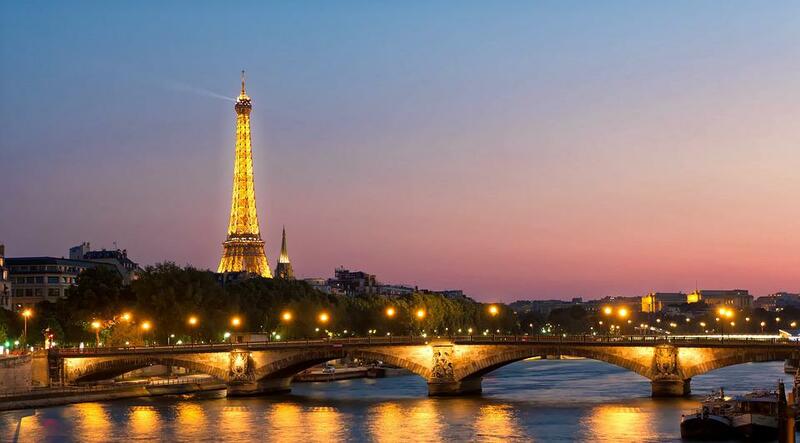 Paris is perfect for sight-seeing, offering a wide range of monuments and attractions such as the Eiffel Tower, Arc de Triomphe, Sacre-Couer, Notre Dame cathedral and Louvre museum. This city can be expensive, but you can save money by visiting out of season and by staying on the outskirts. Many will go for a weekend either as a romantic getaway or a cultural trip with friends. Cramming everything in can be difficult – you can often jump the queues to attractions by booking ahead. Don’t forget to bring some money for shopping on the Champs-Elysees, as well as any fine dining you may want to try. The French Riviera is located on the south coast including cities such as St. Tropez, Monaco and Nice. It’s famed as being the playground of the rich, offering luxury hotels, stunning beaches, incredible shopping, casinos and of course Formula 1’s famous Monaco track. Whilst it can be a pricey area to visit, there are plenty of settlements in the area where you can stay for cheap that are a stone throw from the beaches. It can also be a great place to try and spot celebrities, whether they’re pulling in on their yachts, cruising around in their supercars or stopping over for the Cannes film festival. France’s alpine ski resorts are some of the most renowned in the world. These include Mirabelle, Chamonix and Morzine all of which offer a large array of runs for all abilities, on top of great après-ski options. You can rent a ski chalet in France or stay in a hotel. On top of skiing, there’s also the chance to try other winter sports such as snowboarding and tobogganing. During the summer meanwhile, the Alps become a hotspot for hikers. The likes of regions such as Burgundy, Bordeaux and the Loire are ideal for those that love their wine. There are many organised tours of vineyards in the area where you can taste and buy the fine wines straight from the barrel. Some wine-producing chateaus even provide accommodation. Such areas generally have some of the best food too including famous regional dishes such as Beef Bourguignon, Coq au Vin and Escargot. France’s range of amusement parks also makes it a great destination for going away with the kids. On top of Disneyland Paris, the country also sports famous parks such as the historical Pay du Fou, Park Asterix and Vulcania (a volcano themed park). If you love a good theme park, give France a go. I still have’nt visited france, now i might. Great blog, thanks!